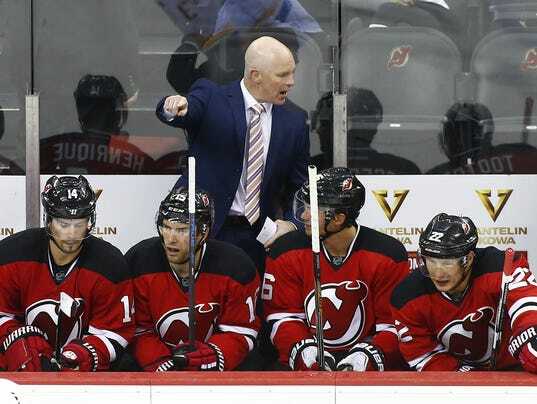 New Jersey Devils players understood how aggressive their new coach John Hynes was in the second game of the season when he pulled his goalie with 3:16 remaining while the Washington Capitals were on a power play. The Capitals led 4-2 at the time. Then defenseman Matt Niskanen scored a rare empty-net power play goal to make it 5-2.